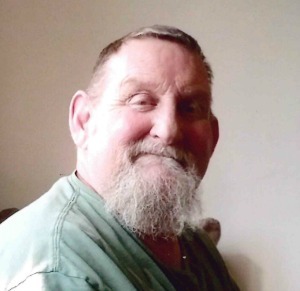 Mr. Randy Earl Price, of Oxford, PA, passed away on Wednesday, January 24, 2018 at the age of 58. Randy was born on November 8, 1959 in West Chester, PA. He was a high school graduate of Kennett High School in 1977. In 1986, Randy married Lois Jean Pugh. Randy enjoyed watching TV, listening to music, hanging out with his dogs, and all things history. He was also a big fan of the Philadelphia Eagles and the Alabama Crimson Tide. Randy will be loved and missed by his surviving wife, Lois Price; his two sons Jason Price (31), Michael Price (29), his step-son David Pugh (39), his brothers, Jeffrey, Eric, Frederick, and Patrick, and his parents, Earl and Venetta Price. There will be a private memorial held on Saturday, February 3rd in his honor. Lois , was so sorry to hear of the passing of your husband. I know he fought a hard battle. I also know its going to be hard for you and the children too. Please know that I am keeping you and family in prayer. – A KHS 1977 classmate of Randys. Lois and Family, my prayers go out to you all. Randy and I had some great times in High School. I am so sorry to hear of his passing. Was looking forward to seeing him at the reunion. May God comfort you with good memories of your time with Randy. God bless you all…. I am so sorry for your loss Lois. Please know that we are keeping you and your family in our prayers. Lois, I’m so sorry I can’t be there to help comfort you and the family. My dear sister I will keep you in my thoughts and prayers always. Randy is at rest now, walking with our Lord. God Bless you all and I love you all. Lois, I am so sorry for your loss. Please know that you and your family are in my thoughts and prayers. My deepest sympathy going out to my friend Lois price and her family .randy was a wonderful man and someday you will meet again.god bless all of you . Mike, we are so sorry to hear about your Dad. Our thoughts and prayers are with you and your family. I wish that we were closer, so we could be there for you. You now have a angel watching over you! I am happy to say he was my friend. I am so very sorry for your loss. My thoughts,prayers, love are with you and your family. May God watch over each of you,guide you,protect,comfort,and give you strength to get through this. May Randy RIP! God Bless each of you! Love you Rty! My condolences to all! To his parents, his wife Lois and his brothers and kids. I pray for you all. God bless you. Rest Easy Randy no more suffering. Your in God’s hands now. You will be missed by many. I think every time I read of his passing, I get a little sadder. Thinking of you and your boys. Sending you love and hugs. To Randy, it was an honor to know you, rest easy and fly high, you will be greatly missed. Lois, you and all the family are in my thoughts and prayers! My heart aches for you; I am always here for you. Much love to you all, many hugs and lots of prayers during this very difficult time. sending you lots of love and prayers during this trying time. I love you rtyhoney!!!!! Rest in peace, Randy. You were one of the people in our high school class that made growing up together so dog gone fun – your humor and kindness will be remembered with happiness by those who knew you. Again, so very sorry Lois, for you, family and many more he has departed this life way too soon, but we know for sure he was welcomed into the loving arms of our Lord. We will continue to pray that you will find comfort in some small ways. His work here is done and you will meet again someday. Our earthly bodies pass away but our souls do continue and know that your love for each other never dies, never. Lighting a special candle for you Randy. Rest in peace. I am sincerely sorry for your loss of Randy. May you find comfort in the many memories you shared with him as well as the promise from Our Heavenly Father to restore those asleep in death, to a perfect life on a paradise earth. He had this promise recorded for us in order to give us a hope for the future as well as to bring us a measure of peace when faced with the loss of our loved ones. I wish the very best for your family at this difficult time, take care of each other.